does this tool work for RG6-Quad coax ? This was a very good coaxial connector crimping tool It had just the right sizes for my particular BNC connectors (for RG-58c/u). 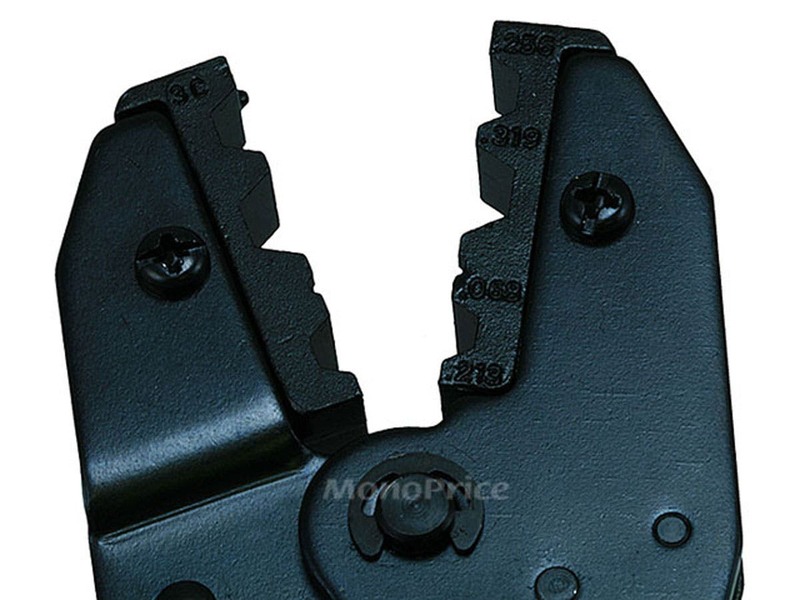 I had to terminate some RG6 coaxial cable, so I ordered this tool and the HT-332 coaxial stripper (SKU 3360) from Monoprice. I bought a pack of Ideal brand RG6 connectors from the hardware store. This was my first time terminating RG6 cable and it was quick and easy. PROS: Easy to use, comfortable and sturdy. Good value. I do a lot of security camera work and purchased this tool to crimp BNC connectors on RG59 siamese cable. The tool fits comfortably in your hand and crimps the fittings perfectly. A great tool at a great price, I highly recommend it. No problems with the crimper. Wish Monoprice had more RF equipment / connectors. Used this to crimp RG6 connectors. Works great. Used a cheap crimping tool I purchased at The Source (which cost a lot more then this one, btw) which only pinched the connectors, like a pair of notched pliers. 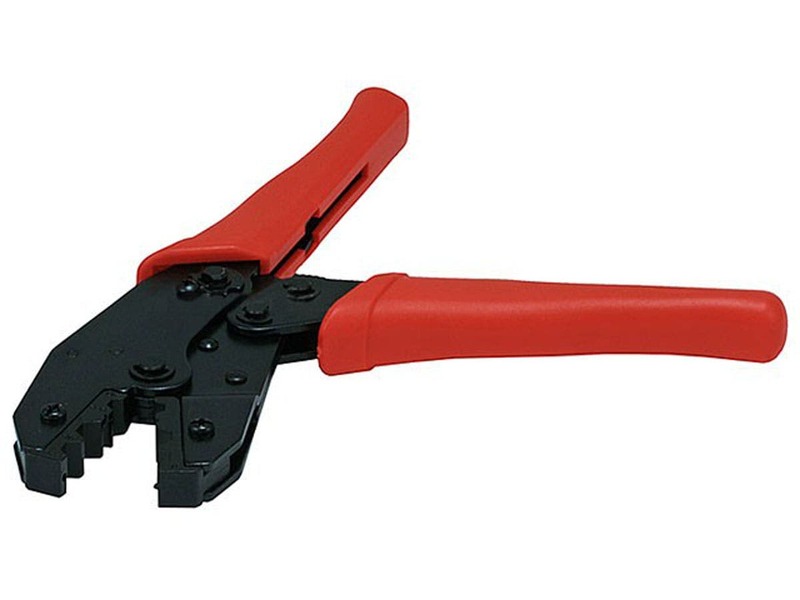 This tool is great because it not only rotates as your pinching the connectors, but also automatically releases the tension after applying the correct amount of squeeze. Takes the guess work out of "how tight do I have to crimp these connectors on?" 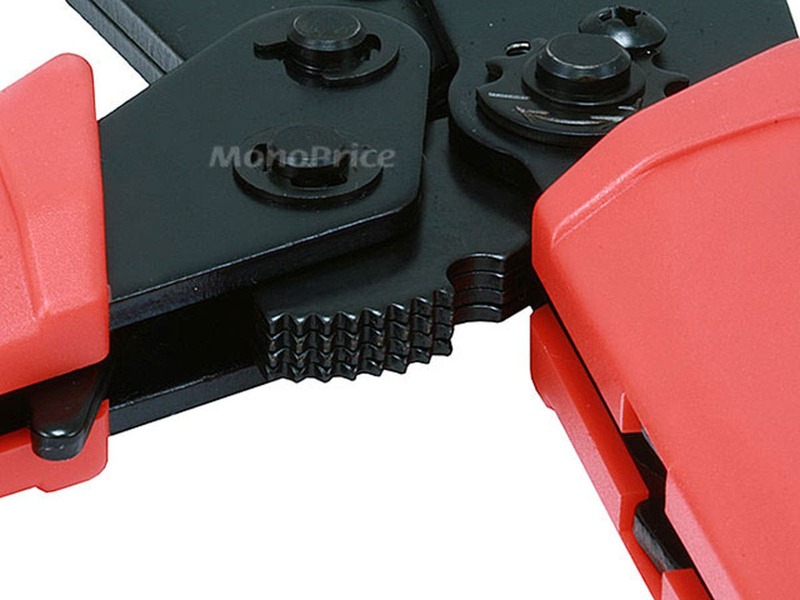 This is a great buy if you want to save money on both the connectors and the crimping tool. It is very sturdy and it's available for a great price, but the end result can be a little unsightly. So I suggest you spend a few more bucks and get a compression tool and connectors instead. The results are much cleaner and professional looking. Other than that it is a good buy.